As I stepped into the building, I couldn’t see much. It felt dark because the windows all seemed to be small, and the old building was darkly painted inside. It was quiet, but every once in a while I could hear what sounded like muffled voices, which I followed to a small, dark classroom. The students were learning math. The teacher was teaching in sign language, and the kids were answering back out loud. When they saw me, they all stopped, looked at me, and then started signing, “I love you!” in American Sign Language. We all know that sign…hold up your hand with your thumb, index finger and pinkie all extended and your ring finger and middle finger down. They waved the sign around towards me indicating their excitement. Some of the students even held up the sign on both hands! Almost 60 children attend school and live here. “Here” is the old classrooms of the Smythe Road Church building. “Live” is also a word that is used loosely. Two of the old classrooms are used to house the girls. 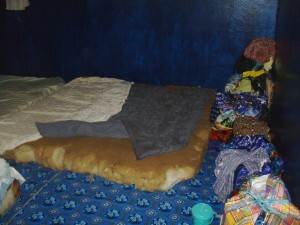 They sleep in a tiny classroom on the floor, with nothing to hold their clothes and other possessions. The boys who board at the school live with a teacher a few blocks from the compound. But they all cook and eat outside the school in a small covered porch, and bathe and do laundry behind the corner of the outdoor latrine. They keep it as clean as they can, and they take pride in their appearance. Their bright blue uniforms are clean and pressed neatly. The classrooms are spread among 5 or 6 other rooms in the old church. The new church building stands a few yards away, bright and new. 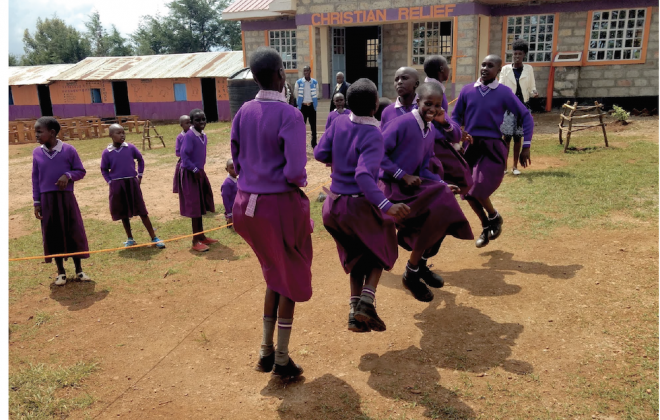 Emanuel, the school’s director, is hoping for a facility of their own. He has applied to the UN, to USAID, and to other countless agencies looking for financial assistance to buy or build a proper school and dormitories. CRF sponsorship fees are the only thing keeping the school open. But he never loses hope that he will get the funding for a proper school. He has plans. Emanuel is also deaf, so communicating with him requires an interpreter or extreme amounts of paper and ink. He has beautiful handwriting, but it is frustrating for both of us when we have to write our conversations. I can’t imagine trying to work the bureacracy of governmental and non-governmental agencies being deaf. 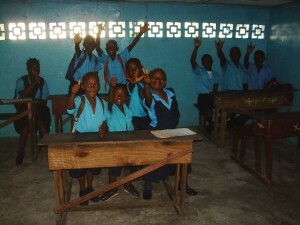 This was the 7th grade class at the Monrovia Deaf School in Liberia, and half of the students are CRF sponsored kids. However ALL the students know about Dr. Milton Jones and CRF. The unsponsored kids all ask me to find them sponsors. The students come from all over the Monrovia area. 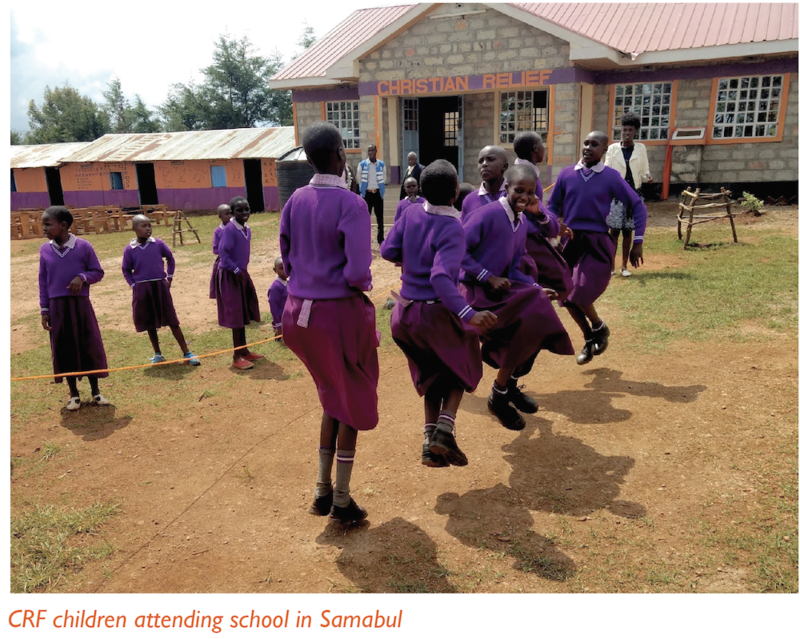 Schools for deaf children are rare, and in most cases, families cannot send their deaf children to school due to costs, travel distances, and just being unaware that schools like ours exist. Even if a school for deaf children is nearby, the chances are slim that the children know a universal sign language. Many have developed a language within their own families and must re-learn to communicate before they can start learning. This means many of our students are much older than their hearing peers. Only a few of our students live close by, the majority are boarding students who live at the school. The kids work hard to take care of each other. They gave me a giant bowl of stew to express their gratitude. Everyone of them shared a word or two of gratefulness and thanks. 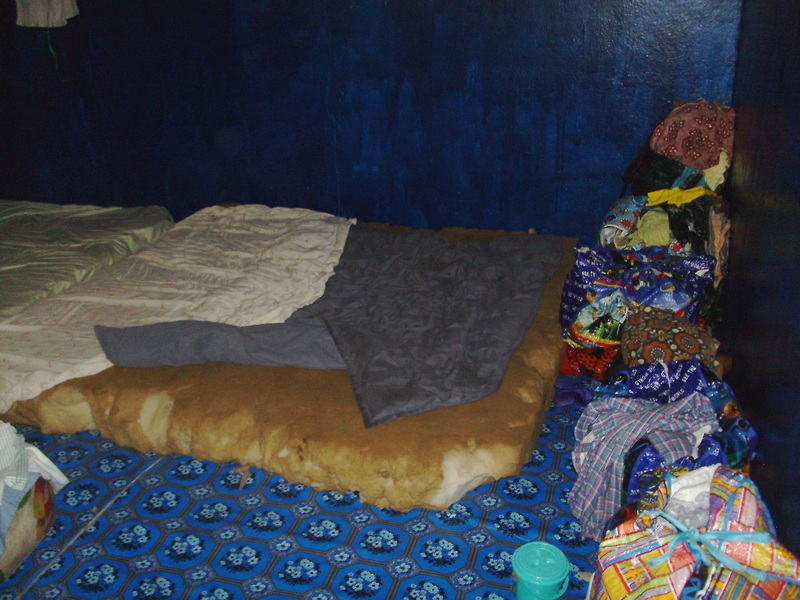 Even though they didn’t have much by any standard, they were thankful to their sponsors for what they were receiving; food, a place to learn and a safe place to sleep. I did something that I have never done before…I emptied my wallet of all my cash and gave it to Emanuel. It wasn’t a lot, but it was all I had to travel with, and the school needed it more than I did. I used my “emergency” cash. It felt like an emergency. I liked to see the deaf kids behaving as a single family, and they wanted to share the blessings they were receiving from their sponsors. I still had two days in Liberia and then long flights back home to manage without a penny in cash. I found out the hard way that many places do not take credit cards, so I had to do without some comforts that I normally don’t give a second thought to. Iced tea, coffee, a book to read…easy sacrifices as I thought about the kids at the Monrovia Deaf School. I learned how to say, “Thank You” in sign language from those kids. You extend your open right hand palm up, starting with the tips of your fingers at your lips and bring your hand down to lay on top of your open left hand which is also palm up.  For all you sponsors out there, I thank you for sticking with CRF, for caring about children in need all over the world, and for taking care of their physical and spiritual needs. I am signing the words “Thank You” to you right now! 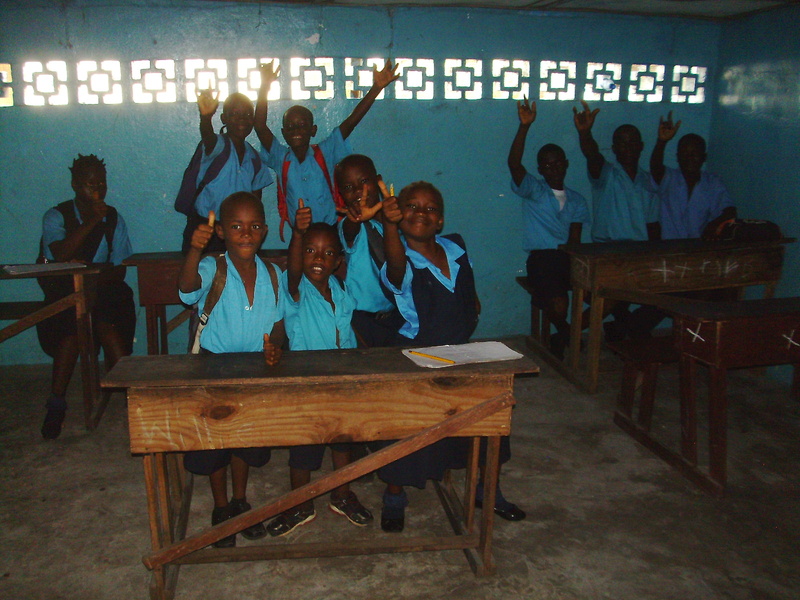 Help the children at the Deaf School!